I am always intrigued by Aquazzura's unique shoe designs and this was not an exception. I got it a couple of months ago during Net-a-porter’s sale at an unbelievable price. If you follow me on twitter, I usually tweet items on sale or my current obsessions. This pair is sold out, but I found another on sale with limited sizes...get it here and here. E dove si trova il modello? 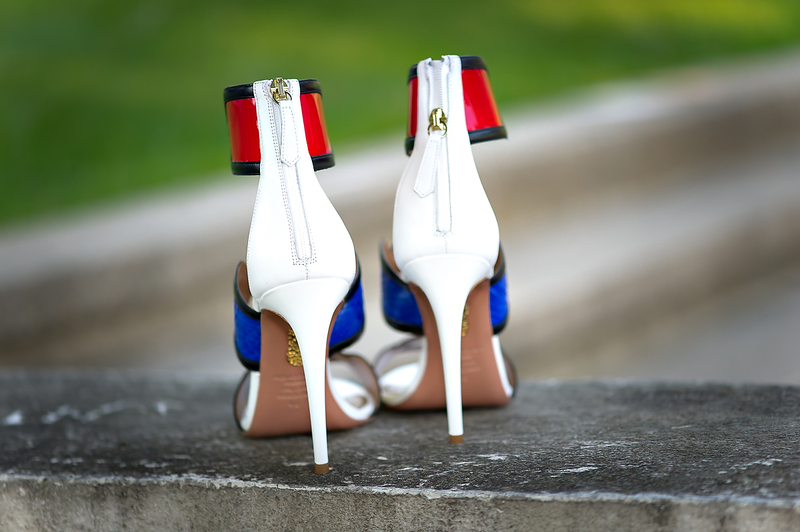 Surely, these shoes must strutting around gold-laden streets of Shoe Heaven. Beautiful. Reminds me of those Burberry ones beyonce had a while ago.